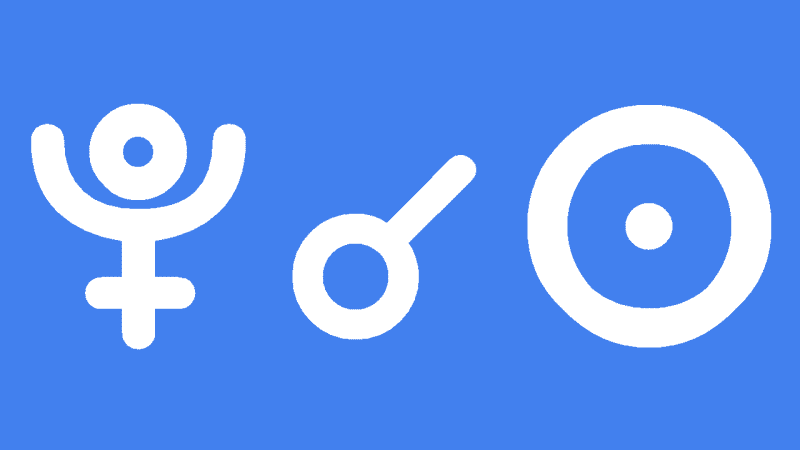 Pluto transits herald major life changing experiences and this is especially so with the Pluto conjunct Sun transit. The Sun is the life force, the power and the whole identity and there is an eighteen month period of deep and lasting change in the life direction. Pluto has a reputation of stripping away things to the bare bone in order to facilitate soul evolution, however this does not have to be the case with this conjunction. There may be events which result in loss or separation, but only if those things are standing in the way of being true to yourself. By studying a few examples of this transit in celebrities, we can see that transiting Pluto conjunct Sun is very empowering, and that this phase of life, although intense and full of change, leads to great personal and professional advancement that is more in tune with the souls desire. Leonardo DiCaprio experienced Pluto conjunct Sun from late 1990 through to the end of 1991. He was just sixteen years old then and already had some experience in TV commercials. But it was Pluto that brought the big breakthrough, firstly in a few appearances in TV shows in 1990 just as Pluto was approaching his Sun. Then in 1991, with Pluto right on his Sun, Leonardo got his break on the big screen with Critters 3, and then also that year he landed a starring role on the high rating TV show Growing Pains. Prince Charles had Pluto conjunct Sun from late 1992 through to the end of 1993. This marked a major turning point in the Prince’s life. He had not been living true to his soul’s desire, and in December 1992 it was formally announced in parliament that he had separated from his wife, Princess Diana. In 1993, Pluto revealed his secrets, with the media release of private phone calls between the Prince and his true love, Camilla Parker-Bowles. Jodie Foster had Pluto conjunct Sun all of 1994. She starred in two very successful films that year, Maverick and Nell, the later winning her critical acclaim and three gongs for the trophy cabinet. Jodie also produced Nell. Brad Pitt had the Pluto conjunct Sun transit all of 2006, a very intense and life changing year for him. Professionally, he starred in the critically acclaimed film Babel, which he stated was “one of the best decisions of my film career”. In his personal life, January 2006 saw Brad legally adopt Angelina’s adopted two kids, and they surnames were changed to “Jolie-Pitt”. January was also the first time their relationships was publicly confirmed. On 27 May 2006, just 14 days after the second conjunction of Pluto to his Sun, Angelina gave birth to their daughter Shiloh Nouvel. They made $10 million from the sale of images of their baby, and gave it all away to charity. So, I was born on 25 December, 1993 at 8 am, how strong is the effect, this october? Sun capricorn 30 decembre. What to expect? I want to look at charts of people that have sun in 12th like mine, or ruler of 7th…how do I search for these? I think Jodie’s is in her 11 and rules her 8th? Solar Fire does chart searches for planet in house. We are going to do up some pages with planets in houses but I think Marina is starting with Pluto at the moment. I guess I am just curious to find info on pluto moving in on the sun being the 7th ruler. Pluto transit over my neptune and then merc were very intense, and transits to my sun have traditionally not been very awesome. There is jupiter trine (which is ruler of MC so that seems good…) but also the moon opposition. Jane, that sounds like a wonderful transition.Do you ever play with the cards–tarot? you might explore pulling some cards for inspiration too. To clarify what the progression is bringing your way. You could look at opportunities, obstacles, blocks to growth/shadow and transformation. I’m intrigued by a sun conjunct south node in cap. I’m a sun in cap conjunct jupiter (trailing close behind north node almost conjunction). Pluto’s transiting me too. Reading your post made me think of my own transitions w/ pluto and for some reason, made me consider the tarot (which i work with) as a way to explore the transits. Perhaps give it a try? My heart goes to you. That’s exciting to hear you are feeling the new energy and awareness :-). Just remember no matter what astrological alignment you are facing the idea is to have trust and faith that abundance is your true nature. All will fall in place no matter what your mind thinks you have right now. It’s all about letting go of the past preconceptions and believing in who you truly are from your heart and soul. It means you don’t need to chase your hearts desires or be ambitious about it…it’s all already there. Believe it, deserve it, embrace it…it’s all there :-). Much blessings to you. i am going through this transit so,yeah,it’s pretty much intense although i am only 16 now,lol. My sun is in 12th house capricorn. At least you get this out of the way early, one way to look at it. My 11 year old girl had Pluto opposite her Sun for age 9 and 10, very tough for her. But as I kept telling her, it get’s better from here! Tell her it is lucky to have pluto opposition in early age as she will not face that anymore in her life. Jamie, could you resurrect this one in the New Year as Pluto gears up to cross into the 3rd decan of Capricorn? Im mostly interested in how it may play out for JeffBezos.